As a nighttime lip treatment, it’s terrific. I like to use a lip scrub first and then slather shea butter on including the areas just outside my lip line. There is quite a bit of anecdotal data that suggests shea butter can help prevent stretch marks during pregnancy. Dab it directly on those flaky spots or dry cracked cuticles. It absorbs nicely after a few minutes, and I like the slight sheen it gives my nails. I also keep it handy during cold season to help my poor little nose if I have been using a lot of tissues. Not many would consider shea butter to have makeup applications, but it makes a wonderful eyebrow tamer. It also works wonders under some of the long-lasting lipsticks that tend to dry out the lips. Just make sure to let it absorb fully before applying the long-wearing lipstick. Since shea butter is usually pretty thick in texture, start with a tiny amount. But it can help nourish the drier ends of your hair and can help fight frizz and flyaways. 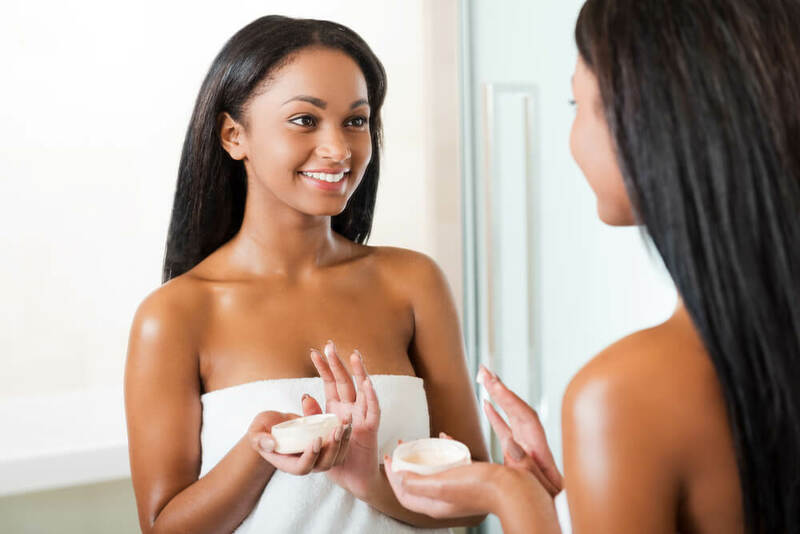 If you aren’t ready to use it straight by itself, try selecting a product or two that includes shea butter as a primary ingredient. This entry was posted in Beauty and tagged Beauty, Beauty Frizz, BeautyFrizz, Cracked Cuticles, Eyebrow Tamer, Flaky Skin, hair, Hair Tamer, Lip Balm, makeup, Moisturize, Shea Butter, skin, skincare, Spot Treatment, Stretch Mark Prevention.